Before she was in the Dresden Dolls, she was in a band called "Amanda Palmer and the Void". In October of 2000, she met Brian Viglione, a drummer; together they formed the Dresden Dolls. In the 2005, WNFX/Boston Phoenix Best Music Poll Amanda Palmer won Best Female Vocalist. Amanda has performed as a living statue called ?The Eight Foot Bride? in Harvard Square as well as in many other locations. Her solo album entitled ?Who Killed Amanda Palmer? was released in September 2008, and was produced by Ben Folds, who also appears on the album. Zo&euml; Keating also appears on several tracks. In 2009, she pleaded with her label, Roadrunner Records, to drop her from their roster. She has been vocal about this in interviews and in concert, even dedicating a song called "Please Drop Me" that is sung to the tune of "Moon River." On January 15, 2010, writer Neil Gaiman announced on his official blog that he and Palmer were engaged to be married. On March 30, 2010, the album "Evelyn Evelyn" was released, as a collaborative work with Jason Webley. 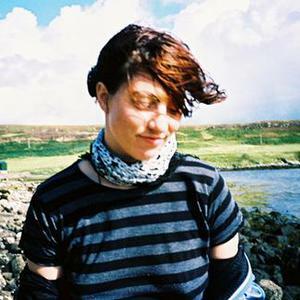 On July 20, 2010, Palmer released a solo EP of Radiohead covers, entitled "Amanda Palmer Performs the Popular Hits of Radiohead on Her Magical Ukulele". In January of 2011, Palmer and Gaiman announced that they were now legally married. Palmer also released a new studio album, Amanda Palmer Goes Down Under. On January 21, 2011, Palmer released "Amanda Palmer Goes Down Under, an album with an Antipodean theme featuring songs that Palmer wrote about, or while in, Australia and New Zealand. Artists the album features include The Young Punx, Brian Viglione of The Dresden Dolls, The Jane Austen Argument, Mikelangelo and the Black Sea Gentlemen, and Lance Horne. In March of 2012, Palmer announced a formation of a new band called "Amanda Palmer and the Grand Theft Orchestra." They first released a cover of Nirvana's song "Polly." In May 2012, she raised over 1 million dollars to fund the release of the band's new album, "Theatre is Evil," via Kickstarter. The album was released in September of 2012.